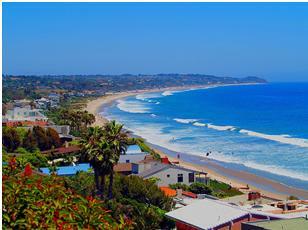 If the classic Southern California beach lifestyle is what you’re after, Malibu – the 21-mile strip of prime Pacific coastline – could be the place to realize your real estate dreams. From amazing beaches to mountainous canyons, this city offers diverse landscapes. Whether you prefer to spend hours watching the tides change or the dolphins play, checking out a new hiking trail or considering your dinner plans, this area satisfies. While this area provides a secluded place to unplug and enjoy life, it’s a short hop to neighboring cities just south Santa Monica, Pacific Palisades, Venice or Topanga Canyon, Agoura Hills, Calabasas, and Woodland Hills to the North, the Pacific Ocean to the South, and Ventura County to the West. This place has a long local history, serving great seafood in a relaxed atmosphere. For something a little different than the usual Malibu fare, try this festive authentic cuisine. Located in the heart of Malibu, this lifestyle center provides all the amenities of a boutique shopping mall experience. Check out the local real estate and spectacular colorful tiles of this 1929 Spanish colonial Revival house.Before the house opened to the public in 1983, an adjacent garage was converted into the Museum, which showcases documents, photographs and artifacts from Malibu’s days as a ranch town. Ruby’s Shake Shack 23000 Pacific Coast Hwy (310) 456-3443, at the end of Malibu Pier, offers a view of world-famous Surfrider Beach. The Godmother of Malibu, closed Sun; 23847 Stuart Ranch Rd. (310) 456.3254 at the private Racquet Club is open to the public, serving fresh eats and lemonade courtside.